Gavin Green has been awarded 2018 LUX Magazine Leading Designers Award, as Most Outstanding Environmentally Sustainable Design Firm -California. We are an allied member of American Society of Interior Designers and commercial and residential decoration and interior design company. Our mission is to bring together the character and elegance of the space with practical luxury. We are committed to making YOUR living space formally functional, to create the value of your place, and to get YOU more sleep because we help check off all the things that you don’t get around to doing in your home. Our talented team of French and American interior designers work closely with leading horticulturists, architects, and reputable licensed contractors and engineers. 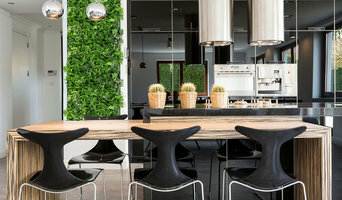 We also engage in home renovation process with the latest technology (Home Automation System as known as Smart Home System & Living Green Walls/Vertical Gardens to avoid waste and to save energy. Hence, we not only protect your assets at home or in the office, but we also make your life more convenient. GGHD aspires to create a better everyday life therefore, we believe having a home that works well is the key to living a successful life. Stylish. Exciting. Elegant. Timeless. Modern. These aren’t just words to Sulinh. All of her design work embraces an esthetic that gives each of her clients an environment that is unique to their identity. SULA Designs is the culmination of founder and creator Sulinh Lafontaine’s years of experience in the design, fashion, and entertainment world. She has over a decade of experience in both residential and commercial design whose inspirations originated from her haute couture fashion background in Paris at YSL amongst others. With her extensive experience in fashion and textiles as well as a global upbringing and travels, Sulinh effortlessly combines crisp, clean architecture with custom upholstery, antique and vintage furniture, and modern and contemporary art. Her work shows a deep respect for a variety of traditions, viewed through a modern eye. 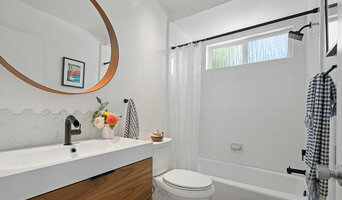 What sets Sulinh apart from other interior designers is that she also does remodels. She combines a knowledge in architectural design as well as construction work. She has personally overseen many projects from start to finish playing the key role of a project manager/general contractor putting into place full construction crew. Her projects include residential and commercial properties stretching from a 400-square foot studio in Manhattan to a 217-room hotel and full restaurant bar in Kauai. 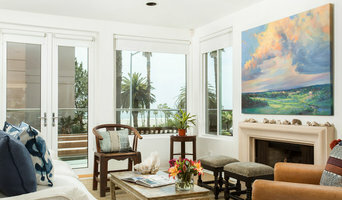 Currently Sulinh is wrapping up a 5-bedroom remodel and interior design in Corona del Mar. Next on the horizon for Sulinh is a 2-story historical craftsman home remodel and build-out in Santa Monica. Sulinh has a high-end modern style on an accessible budget and often uses new technology such as 3D and VR to help clients visualize their spaces before making any decisions. Design / Build: Accessory Dwelling Units, Granny Flats, Room Additions, Kitchens and Bathroom Remodeling, Universal Design, Aging-In-Place, New Construction and Green Building. Harding Design and Construction specializes in residential, planning, development and building within the greater Long Beach, North Orange County and South Los Angeles areas. We work with our clients from concept to completion while providing quality craftsmanship and excellent customer service for an exceptional value. We look forward to working with you and helping you turn your house into your dream home. We enjoy working with clients as true partners. We are completely dedicated to customer satisfaction from the beginning of the project to the end. By providing quality services from start to finish, we insure your experience with us more than exceeds your expectations. Specific Services Provided: Design, Planning, Development, Design-Build, Accessory Dwelling Units, Granny Flats, Room Additions, Whole House Remodels, Kitchen Remodeling, Bathroom Remodeling, New Construction, Green Building, Historic Home Renovations, Insulation, Windows, Tile, Carpentry, Home Remodeling. Details a Design Firm is a cutting edge full service interior design firm based in Orange County, California, where we work tirelessly to ensure every client receives superior customer service and satisfaction. We pride ourselves in thinking through every detail. Over the past 19 years we have worked with homeowners, architects, builders and project managers to design homes that fulfill the needs and desires of our clients. Our team of design experts won’t rest until you’re resting comfortably in the home of your dreams. Customizing your home to fit your lifestyle and essence is what we do best. Let us help you create a space that reflects your personality and passion. Your dream home is just a friendly phone call away. Alexis Manfer, Inc. Alexis Manfer, Inc. is an experienced Interior Architecture and Design firm founded in Southern California in 2011. Our team of experts will ensure that every detail is accounted for to create a completely personalized design for you. Our extensive list of vendors and sources across the globe will guarantee a distinctive aesthetic. Our knowledge of the Interior Design process will leave you confident in our planning and design services. At Alexis Manfer, Inc. we’ll make sure your interior is unique and perfectly tailored to you. Alexis Manfer, Founder Alexis Manfer has established a reputation for producing one-of-a- kind, unforgettable interiors with innovative concepts, materials, and furnishings. Having lived in San Francisco, Los Angeles, New York City, and Orange County, Alexis brings her worldly experiences to the Art of designing notable interiors for a wide variety of clients with exceptional taste. Alexis graduated from USC with a BA Art History and UCLA with a graduate degree in Interior Architecture. She then went on to work for several renowned Interior Designers including Kelly Wearstler, Juan Pablo Molyneux, and Amanda Nisbet prior to opening her own firm in 2011. Today, Alexis is recognized as an expert in Interior Design for residential and commercial projects. Her passion produces unforgettable designs with timeless taste and attention to detail. Deana Duffek Design is focused on Interior Design, Branded Products and Sustainable Design initiatives. We offer a wide range of services that meet the needs of corporate, hospitality and residential clients. Our team is adept in designing thoughtful product, beautiful brand experiences, and functional spaces that incorporate the emotion, passion, and core values of each client. At Fabulous Interiors by Pam, I design with purpose and the belief that your home should be a collection of who you are and what you love. With over 30 years of experience, I have acquired a gracious range of style and close understanding of the art of design. As a designer, I truly enjoy listening to clients’ ideas and then thinking outside of the box to create a cohesive and exceptional story for a home to tell. My passion in life is transforming environments into beautifully luxurious and lively places because I believe a home is the cornerstone to every rich life. 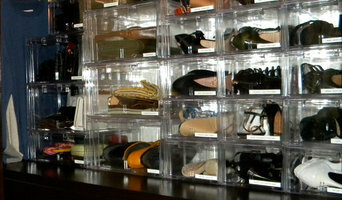 Lighter And Brighter provides many different organizing services. As an lifelong visual artist Andre has a great natural understanding of spacial placement, organization, design, color and beauty. Andre has an immense passion for his work and as he says himself "It is the most rewarding and exhilarating feeling to see the magic happen when you help a client transform their space into something they dream of it to be". He has a calm and a presence that helps clients feel that they are in very good hands leading them through the organizing process in the least stressful way. Lighter and Brighter handles all aspects of organizing, from packing and unpacking around a move to downsizing and clearing out all clutter of your house.